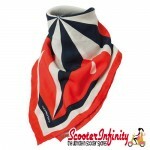 A neck-scarf / bandana in a 'Cafe racer' style, produced by TUCANO URBANO. 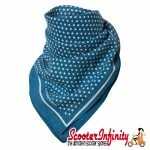 It possesses a lightweight and comfortable quality and this versatile item can be worn as either a head-scarf or a bandana. Material : Cotton / polyester.